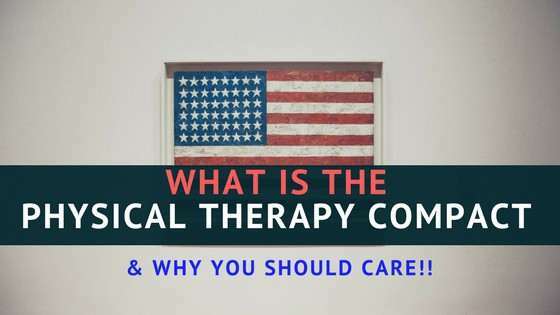 What is the Physical Therapy Compact And Why You Should Care! On April 15, 2017 the Physical Therapy Compact was officially enacted! This is huge! 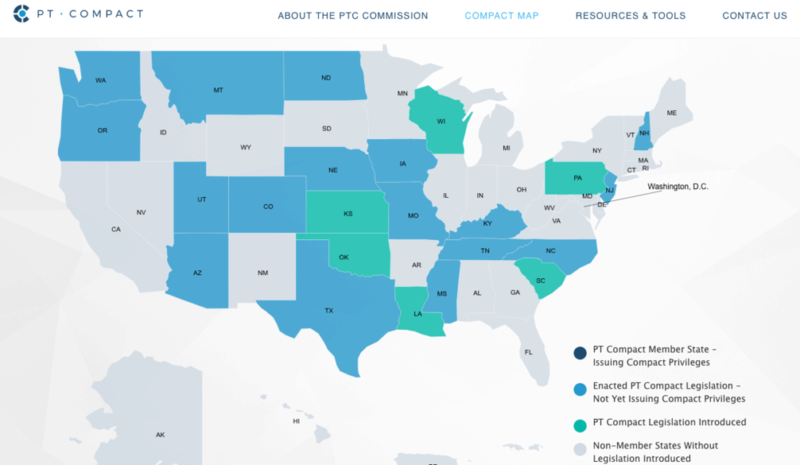 Now states are not yet processing compact privileges, but this is a big win for our profession and this will definitely help you find more jobs as a PT, especially mobile and at home positions! What is the Physical Therapy Compact? The physical therapy compact is an interstate compact that is specifically for physical therapists. According to the FSBPT, “It is a contract between two or more states creating an agreement on a particular policy issue, adopting a certain standard or cooperating on regional or national matters (FSBPT). Basically, with one fee and application, you would have access to all states that approved the compact. In simplified terms, it means that instead of having 10 different state licenses, you only need to hold your home state license and then the compact. There are lots of other examples of compacts if you are still confused. Think of your driver’s license for example, that’s a compact with all states so that you can easily drive the nation for weekends, adventures, or work! Who should care about the PT compact? As a traveling physical therapy, I would have loved to have a compact. Its real pain to look up licenses, find their application, decipher the complicated language of every application, pay the fees and all the other exhausting work that goes into getting multiple state licenses! In addition, as a traveler, you often do not have a long time in between contracts. You need new state licenses fast otherwise this will limit your job choices. This compact would enable you to work in positions faster as well as work in more positions nationwide. It would also take away the worry of “am I going to get my license in time?”. This actually happened to me! I filed for my New York and New jersey application at the same time. 3 weeks later I received my New York license but New Jersey was no where to be found! Turns out, they had lost some of my paper work and I had to start the application almost over again! Not only did it cost me more money but I also lost an offered position as a result! With the compact, you are able to get the compact within minutes so this issue shouldn’t happen again! 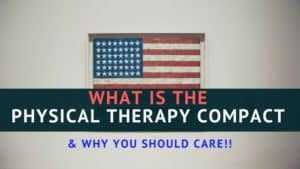 Should physical therapists and physical therapy assistant’s care? YES! This compact is for both physical therapy licenses as well as physical therapy assistants! What are the requirements to get a physical therapy compact license? In order to receive a compact license, PTs or PTAs have to have a license in their home state and meet other eligibility criteria such as have no disciplinary actions for at least 2 years. When eligibility is verified and all fees are paid, then you can receive the compact privilege and may begin legally working in other states. How long do you have the compact for? Your home state license dictates how long your compact lasts. When your license expires, then the compact expires. So to keep your compact, simply renew your home state license and then renew the compact. What states have signed into law the compact? Colorado, Kentucky, Mississippi, Montana, New Hampshire, North Carolina, North Dakota, Texas, Utah, and Washington have all signed the compact into law. However, there are no states that are yet issuing compact privileges. According to the FSBPT compact website, this ability should be available in mid 2018. How can you get the PT compact? Unfortunately, the system is not up yet because no state is ready to issue the compact. Once completed, according to the FSBPT, it will be easy to purchase through their online portal. They report that will be able to issue you the compact in minutes! From the looks of it, you may need to get a compact license for each state as the FSBPT states: “you will need to have a compact privilege in each state in which you want to provide PT services”. How much will the PT compact cost? The fee to purchase Compact Privilege will vary from state to state and is not yet available to view. There is a $45 Commission fee and an optional state fee charged for each Compact Privilege. I hope it’s not too much! How do I determine my home state for the PT compact? the military personnel’s State of Legal Residence on record with the military. the state of the duty station noted in the active duty military personnel’s PCS orders. the state in which the active duty military personnel or spouse is currently physically residing. 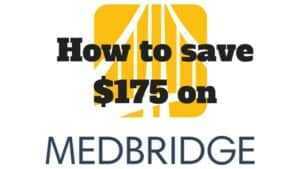 Do I need to do continuing education for my compact state? Yes, but you only need to meet the continuing education requirements for your home state. You do not need to meet the continuing education of the states that you have compact privilege in. I know this compact will really help traveling physical therapists. As a result, I found an example provided by the FSBPT to help travelers understand the PT compact rules. “Mary is a PT licensed in Arizona. 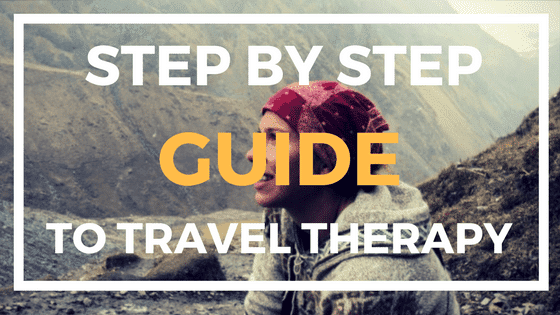 She lives in Arizona and wants to take a travel therapy assignment in Utah for 13 weeks. Would Mary be required to obtain a license in the state of Utah or would her current license allow her to obtain a Compact Privilege to practice in Utah? (Arizona) must be a member of the PT Compact. Mary will need a license in her home state and will need to have had a license free of any adverse actions for at least 2 years and with no encumbrances. Since Arizona and Utah are both members of the Compact, Mary could purchase a Compact Privilege for Utah and legally practice physical therapy in Utah. If Utah weren’t a Compact member state, Mary would need to get a license in Utah to legally practice in Utah”. Basically, if you are a traveler, you can be a part of the compact as long as your home state is part of the compact. Then, you need to make sure the states you want to travel to as well are part of the compact. If your home state isn’t part of the compact, you can still work but you just have to purchase individual state licenses. OMG! I add this in because I want people to know how long we had to fight to get this right! According to the FSBPT, here are all the steps we had to do to enact this law! The PT compact should play a big role in the growth of physical therapy and the reach our profession has to offer. It should expand the number of positions offered as well as the mobility and flexibility of positions. This should hopefully combat burnout as PT’s could transition to tele health and practice from home. In addition, this should enable PT’s to create more small businesses! Think of it, if you could remotely treat patients, then you don’t need expensive high low tables and mats. You can treat from the comfort of your home and give the one on one care needed. Your cost to operate your business could be next to nothing! Now, its tough to treat without actually touching a person, but I think this opens our profession up to become better health coaches and follow up with our patients care. You could focus more on life changes rather than just the exercises. You could have the patient do one in person session followed up by several online review sessions. The abilities to customize your online physical therapy practice could be endless and this compact opens up our field for this opportunity. 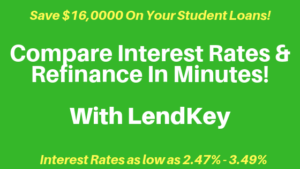 Oh, and did I mention this will likely help you become debt free with all the money you will be saving from license applications! If you are looking for career tips on how to become debt free, vetted recruiters for travel PT, and FREE mentorship as a new or potential traveler, simply click here to schedule your FREE mentor call with me!